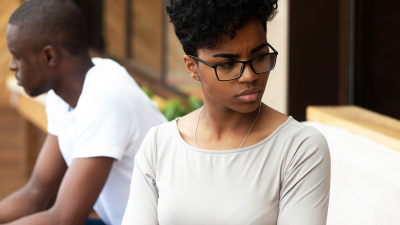 Building any relationship when you have a low self-esteem can be hard and it can negatively affect how you interact with others, especially your partner. If you can’t see your own worth then it won’t be easy to believe that someone else see you as worthy. Here are 5 ways that your low self-esteem could be affecting your relationship negatively. Due to past disappointments or hurt, you may not trust easily because you’d constantly doubt your partner’s love for you, and the lack of trust in your relationship may end up being a problem. Having a low self-esteem will make you insecure about how you feel about yourself and your partner. Them having to constantly convince you that you’re good enough for them may be draining for the both of you. When your self-esteem is low, and you are in a relationship with a toxic person, they might use your insecurities and flaws against you and end up manipulating you - or even worse, abusing you. A relationship is an endless journey of getting to know each other and making connections, but you might have a hard time connecting to your partner because of your insecurities and low self-esteem. With challenges that come with relationships, you might not put enough effort into making your relationship work because you might feel like it doesn’t matter anyway. Your low self-esteem will make you assume that your partner never cared about you.